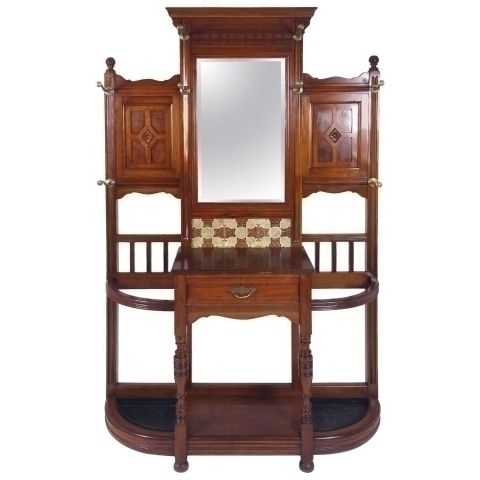 This well-proportioned and splendid Victorian walnut hallstand features a bevelled mirror back and is inset with a splash back of decoratively patterned tiles. 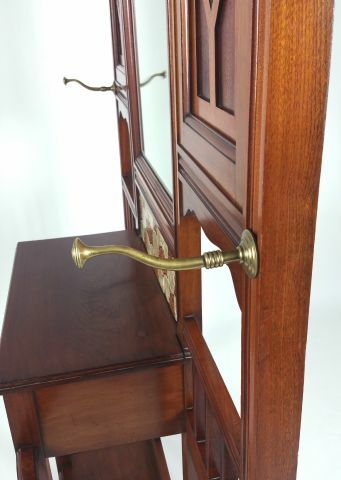 The curved and detailed brass coat hooks and drawer pull are original and the wood displays a good bit of detail work throughout. 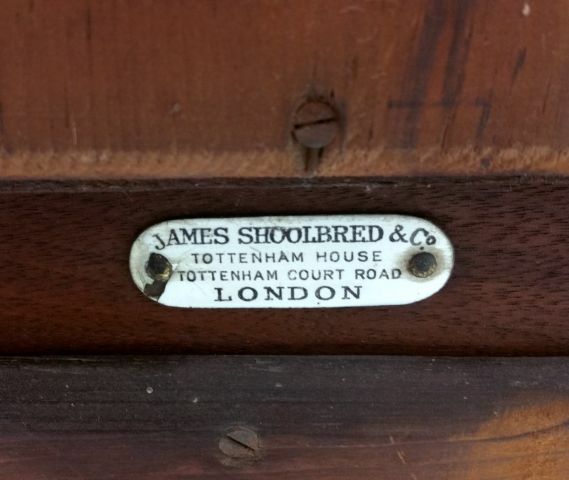 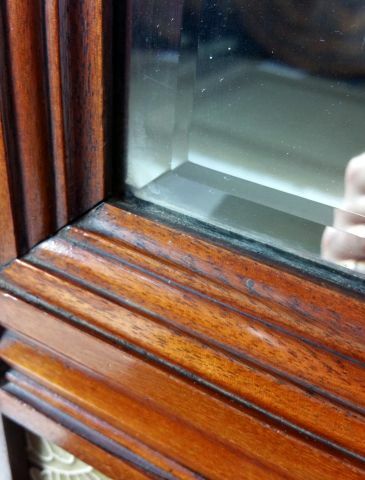 There is a label plate on the back for James Shoolbred & Co. of London, a well-known cabinet maker of the period. 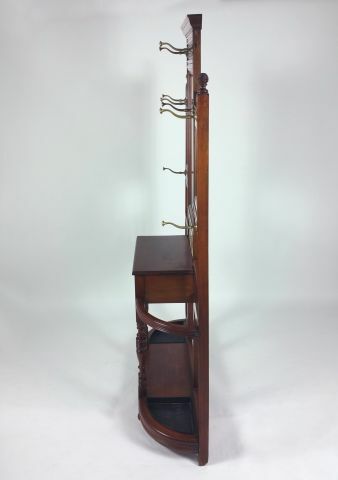 It measures 48 in � 122 cm wide, 13 � in � 33.7 cm deep and 81 in � 205.7 cm in height. 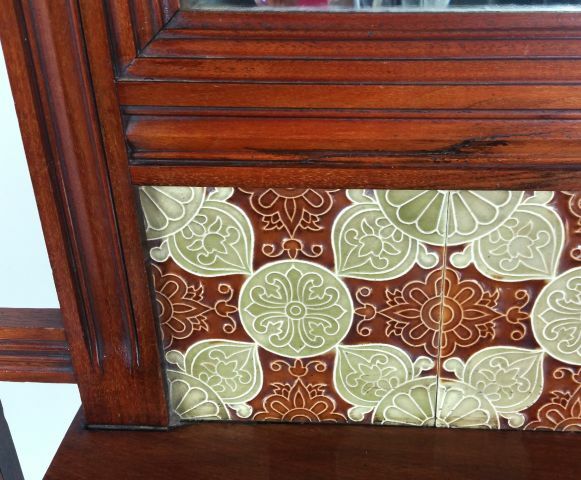 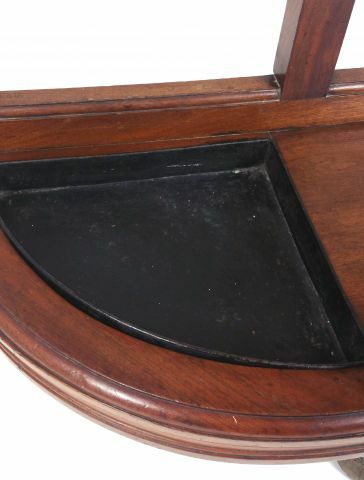 This hall stand would make a spectacular focal point or feature piece for an entry way or hall.